Sitting on the escarpment at Seaforth the site is blessed with spectacular south facing views down to the Spit. 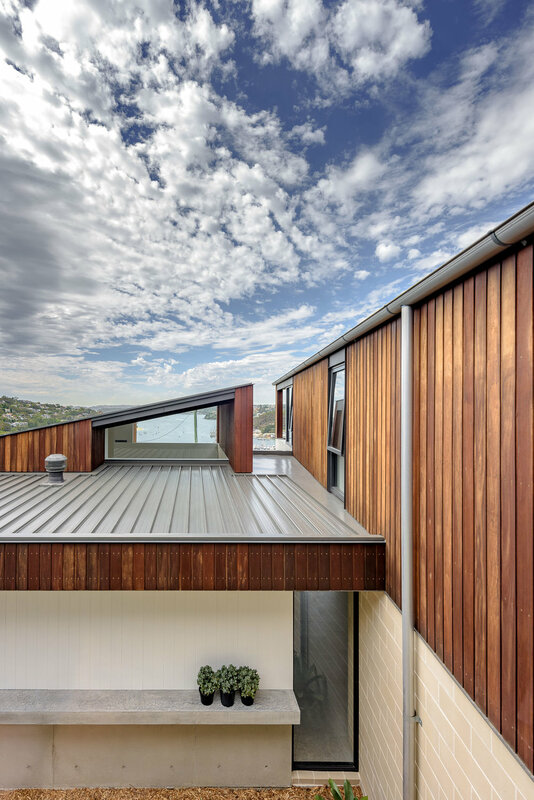 Central to the idea of the project is how the natural environment can be extended and form an integral part of the house. The green escarpment is carried through the front garden and the path to the entry slowly transforms from natural to more formed and solid as the approach continues. Ultimately with the garden mature the building will appear to be completely part of the surrounding landscape; a monolithic form rising out of a green base. 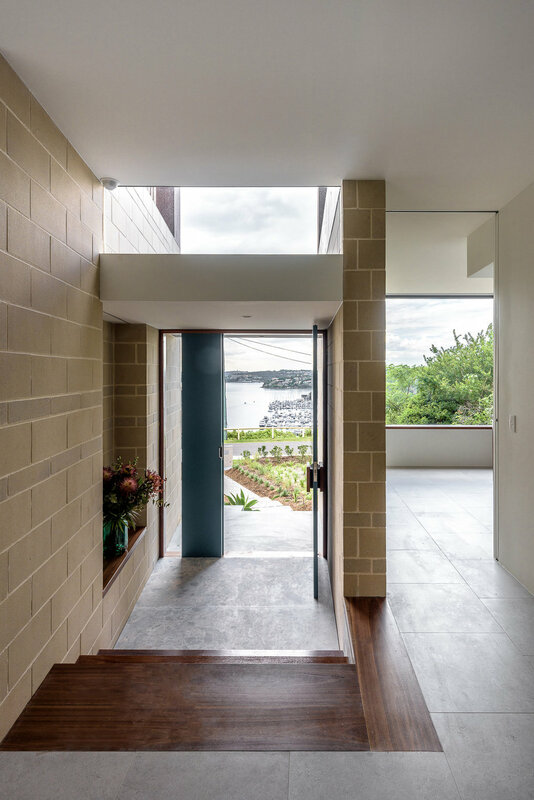 The house is conceived of as two distinct pavilions; a public wing with the living spaces and a private wing containing bedrooms and ancillary spaces. The living areas open both to the front and rear gardens. 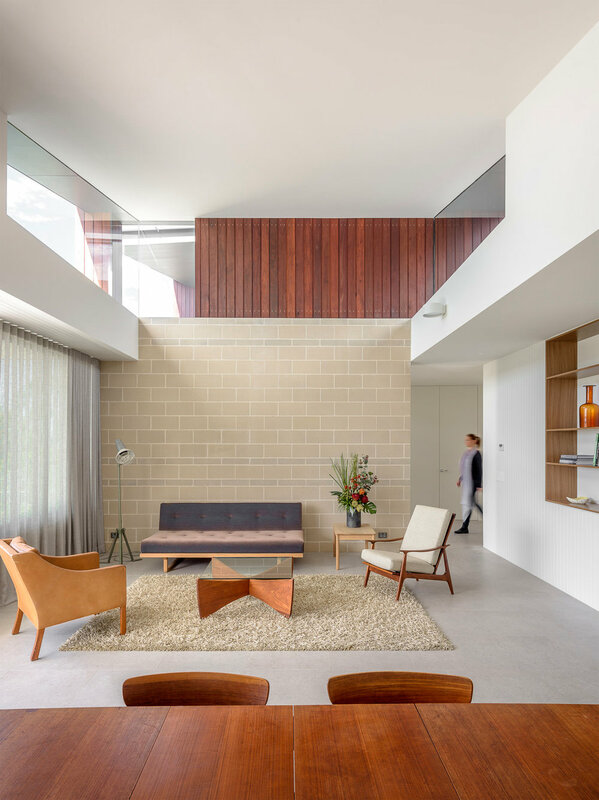 The roof kicks up to the west allowing a large north window to occupy the highest section providing north sun and light into a south orientated living room. The kitchen tucks onto the back of the space opening to the rear patio and external living areas. The private wing is L-shaped in plan with bedrooms at the upper level. The layout allows for a large undercover outdoor area that wraps around a ground level courtyard. 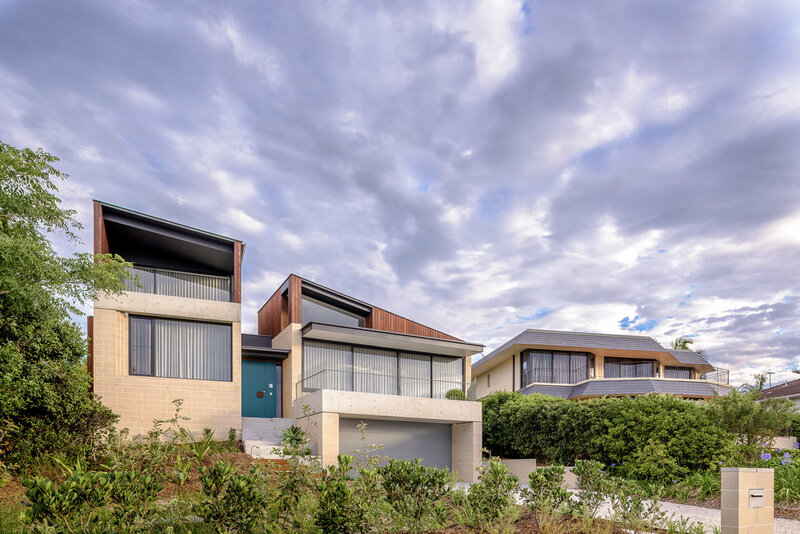 A small strip of landscape allows the rear garden to flow into the courtyard, thereby continuing the idea of the natural environment being as much a part of the house as possible. The material palette is deliberately restrained with the use of concrete blocks, off form concrete and timber cladding for the upper level. The house is solid at its base and becomes lighter above the ground floor datum. 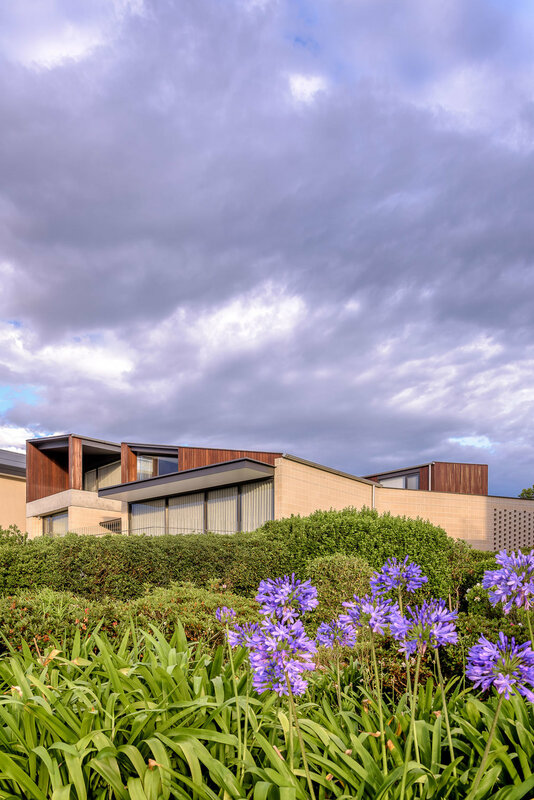 The house is earthed and feels connected to the ground with both the concrete blocks and timber cladding brought internally to reinforce this notion.